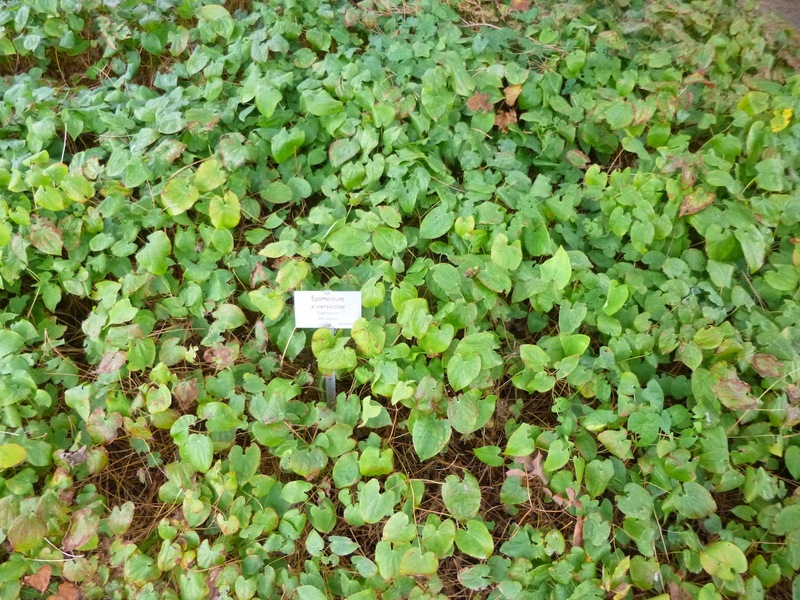 Garden of Aaron: Travel Report -- Berlin Botanical Garden: Papaya, Zigzag Goldenrod, Lady's Mantle, Male Fern, Firecracker Vine and more! 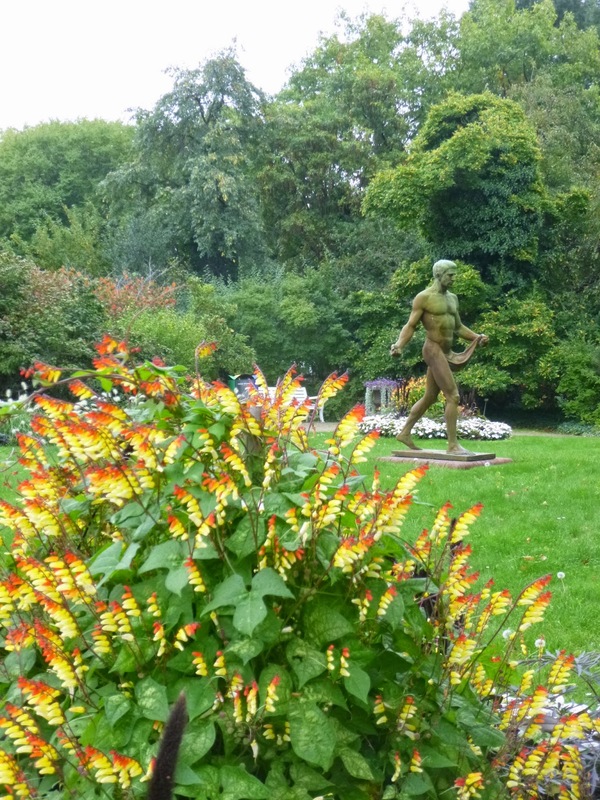 Travel Report -- Berlin Botanical Garden: Papaya, Zigzag Goldenrod, Lady's Mantle, Male Fern, Firecracker Vine and more! With all the historical sights and great museums in Berlin, I doubt that many international visitors make it to the Botanical Garden (officially the Botanischer Garten und Botanisches Museum Berlin-Dahlem). 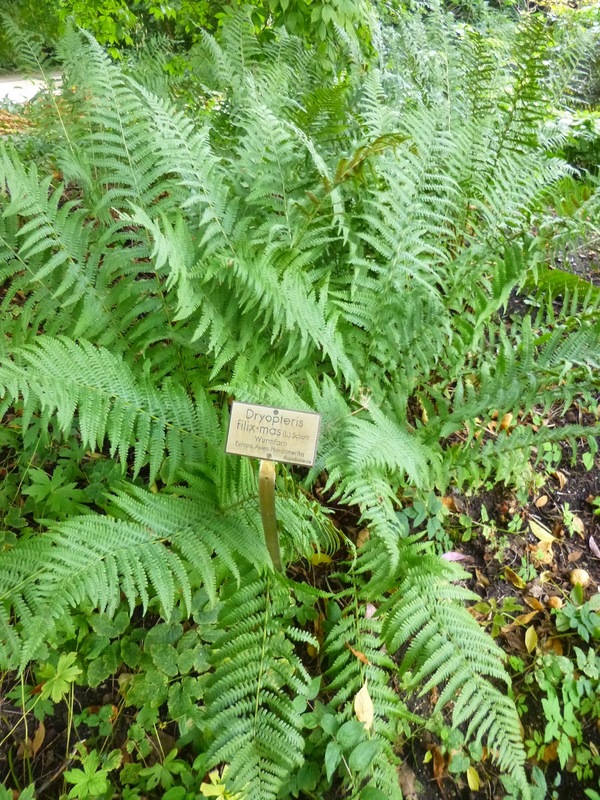 A nice specimen of Dryopteris filix-mas, also known as Male Fern. It's actually native to much of the United States, but I've never seen it in a garden here. Funny how sometimes you have to go half way around the world to find a plant that's appreciated as an 'exotic' ornamental! 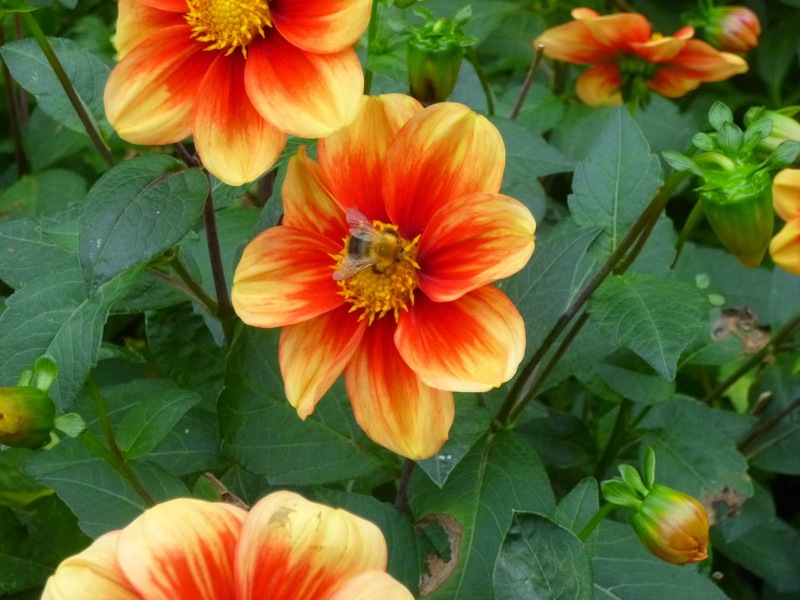 Bee visiting a dahlia. 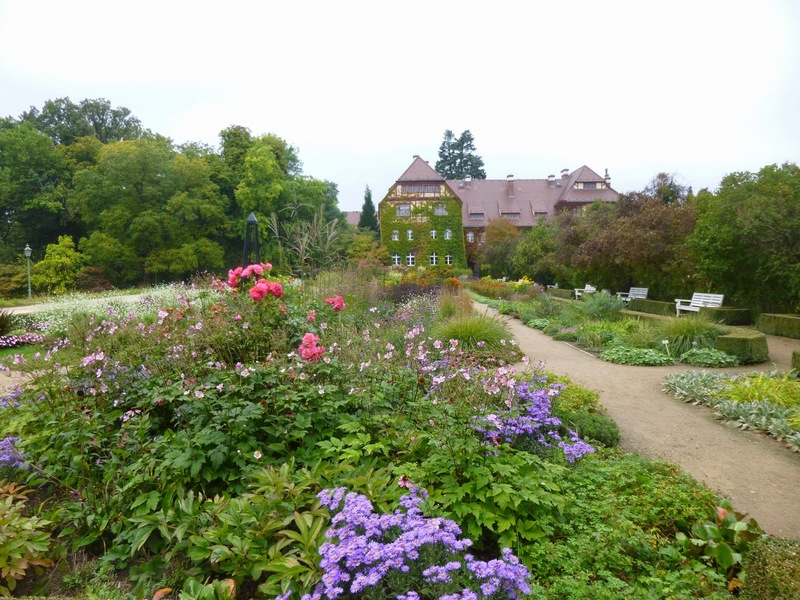 I noticed a lot of dahlias in both German and Dutch gardens. And I have to say that I was impressed. I must admit that I'm not too familiar with dahlias, but I plan to do a lot more research to see if I can find a way to incorporate one or more in my garden. Gorgeous swath of nasturtiums. 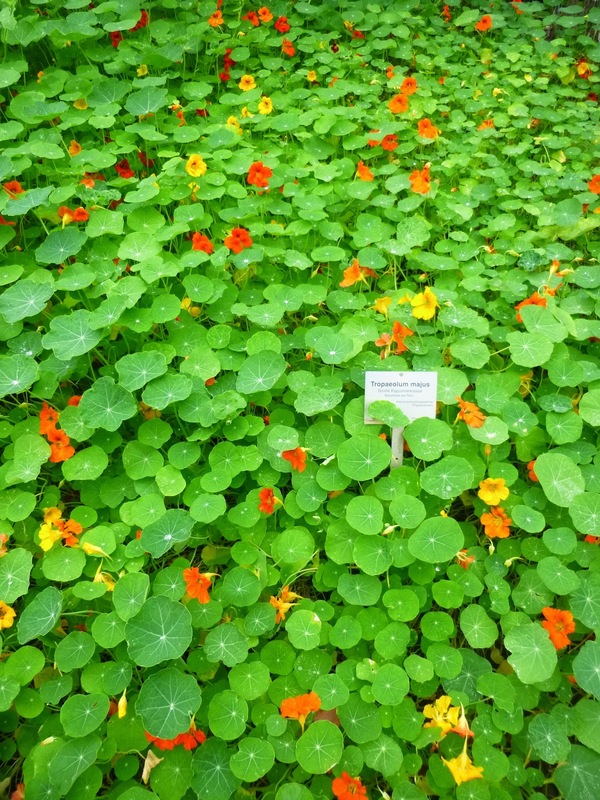 I once tried (and failed) to grow nasturtiums here in Tennessee. They seem to thrive in Berlin. This is Mina Lobata, the Firecracker Vine. Native to Brazil and only hardy to zone 12, it's clearly being used as an annual here, but to tremendous effect. I'd seen it online before, but this was my first time seeing it in person. Color me very impressed. 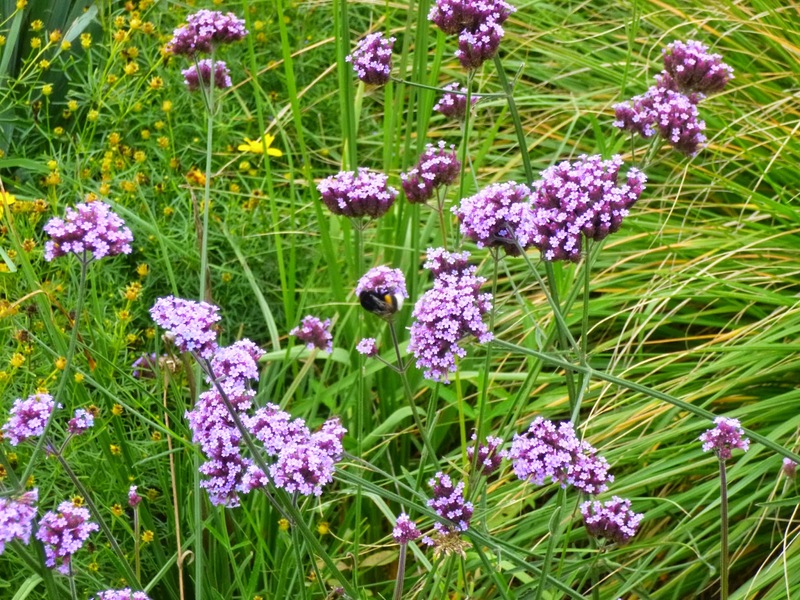 Bee on a lovely stand of Verbena bonariensis. Another really interesting design choice. 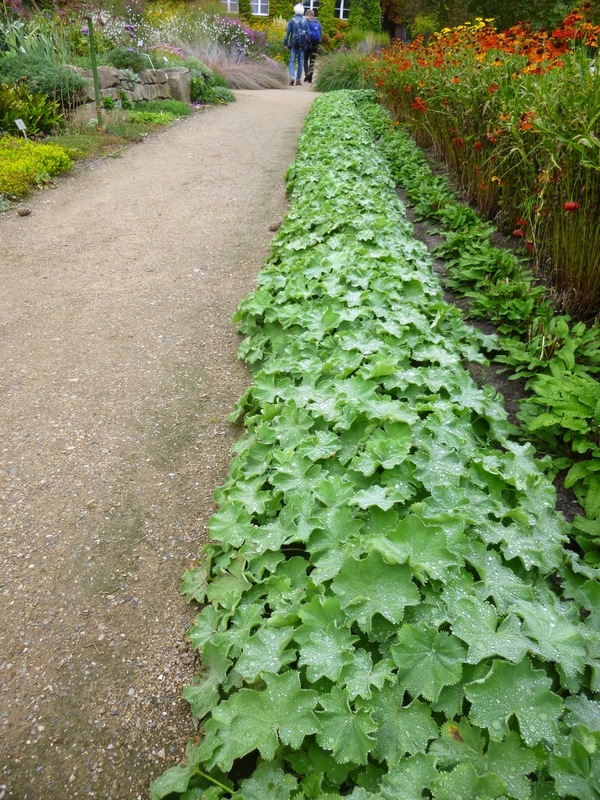 Berlin Botanical Garden shows the potential of Lady's Mantle to serve as the defining plant in an herbaceous border. Here's yet another plant that I'd heard about, but never seen in person before. This is Solidago flexicaulis, commonly known as Zigzag Goldenrod. 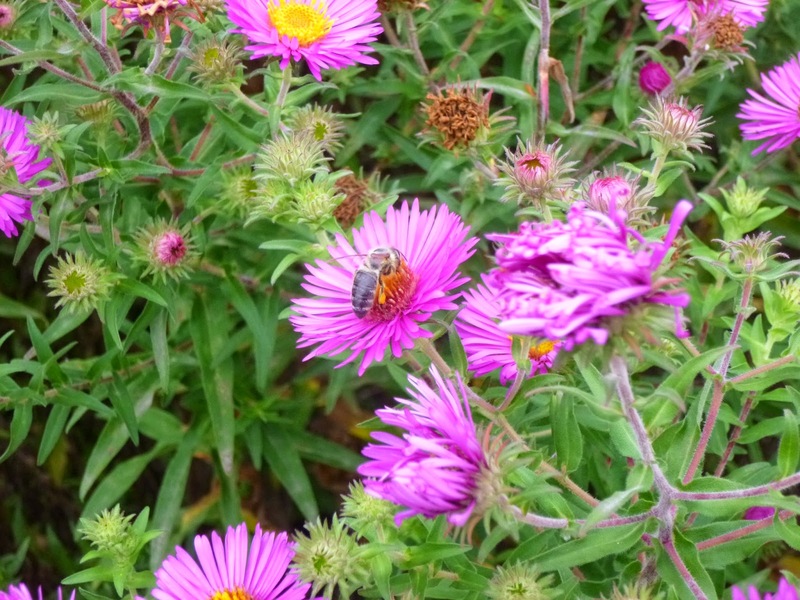 Yep, it's another North American plant that I had to travel to Europe to see in a garden! 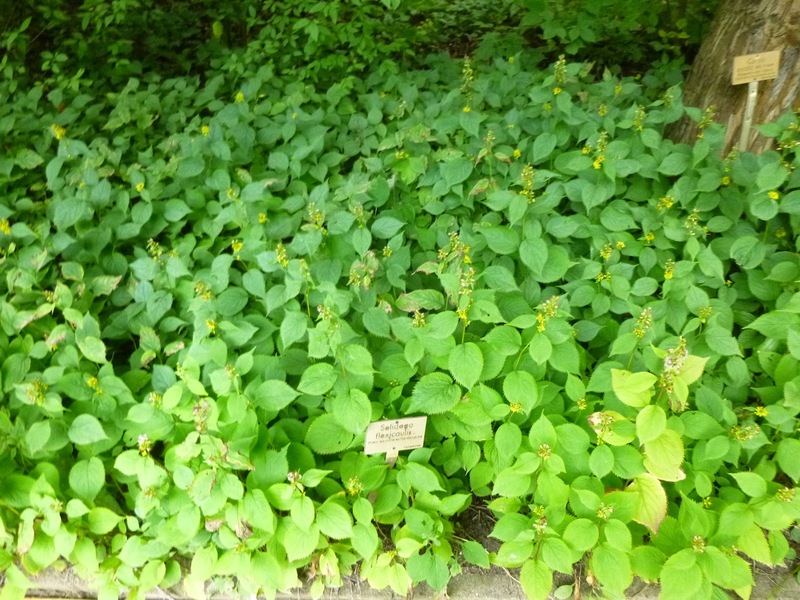 Anyways, we tend to think of goldenrods as sun-loving plants, but as you can see here, the Zigzag Goldenrod is actually happy in a shady forest setting! 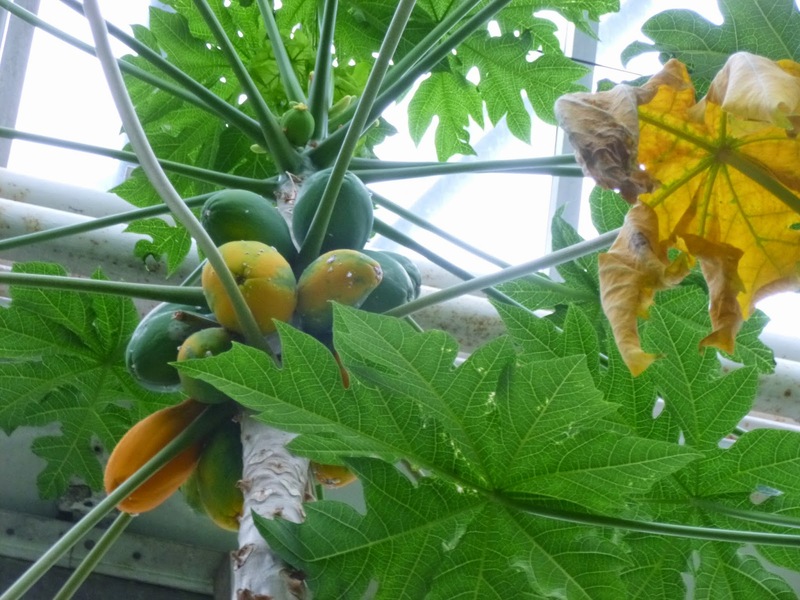 I like papaya juice and I've seen papayas in the supermarket, but I'd never seen papayas growing on a tree before. Here you can see how they cluster along the trunk of the Carica papaya, a tree that is native to tropical areas of Central and South America.